Grooms cake with a 12" round tier. Made with Chocolate buttercream. 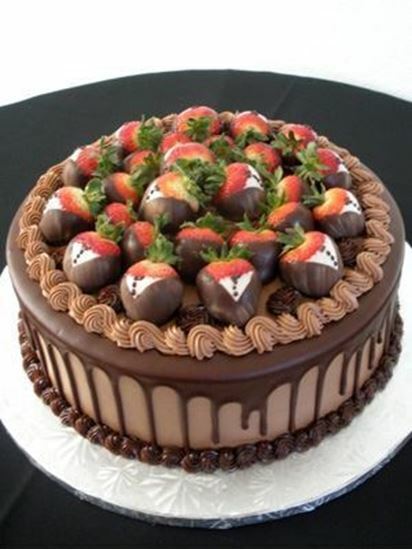 Decorated with Fudge drizzle & Chocolate dipped Strawberries. Serves 56 wedding cake slices.